Research clearly shows that microbes live on surfaces for days, weeks, or even months after cleaning. As more research is published and we learn more, evidence continues to show that surfaces have an active role in the transmission of microbes and spread of infection. Surface selection in healthcare is complex and requires a focused effort. 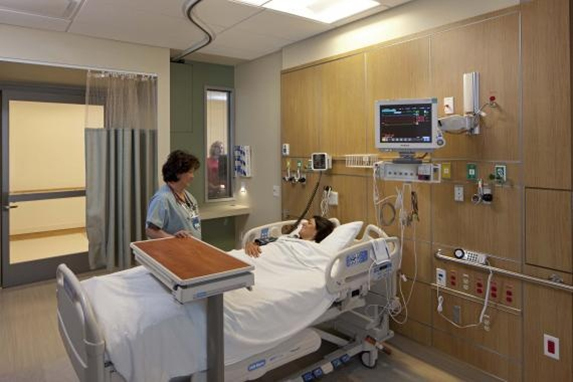 By considering The Seven Aspects of Surface Selection©, we can minimize microbial reservoirs and select surfaces that can be effectively cleaned and disinfected, creating the foundation of a multi-modal solution needed to reduce the spread of HAIs. Surface selection and evaluation are predominately based on the design criteria established before any construction or renovation project — how it looks and where it is located is based on creating a homelike atmosphere and a healing environment. While this is important, the selection of surfaces to prevent HAIs is more complex. The goal is to select a combination of surfaces that can be effectively cleaned and disinfected, leaving little room for human error. Unfortunately, right now the majority of surfaces being used in healthcare are difficult if not impossible to clean effectively. It is critical to collect information needed to address the ability to clean and disinfect the surfaces being selected. Equally important is making sure the ability to clean and disinfect surfaces follows recommended guidelines and infection prevention requirements. It is too common that facility staff learn that the surface materials chosen cannot be cleaned effectively using disinfection products without serious surface damage. Unseen microbial reservoirs create unnecessary risk to patients, healthcare workers and the general public. It also becomes costly to the facility, as products need to be replaced or repaired. There is a science around the spread of infection via surfaces that should be considered during the evaluation process. It is not enough to learn every physical characteristic of a given surface and surface material or to become an expert in the latest disinfection agents and protocols. This data must be combined with an understanding of microbiology, the physical environment and insight into human behavior. Taking all seven of the aspects listed here into consideration might change surface and material selection.